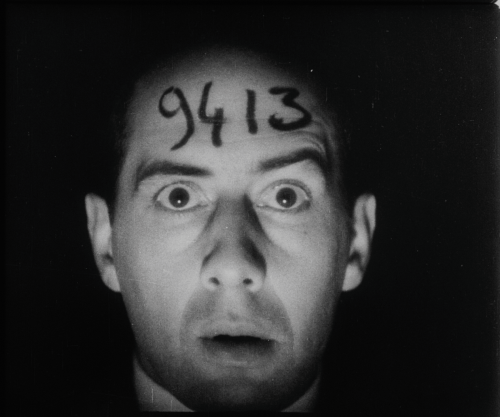 In this Flicker Alley exclusive, Donald Sosin describes his journey to becoming one of today’s leading silent film composers and his method behind creating new scores for four of the films included in Masterworks of American Avant-garde Experimental Film 1920-1970: Manhatta, The Life and Death of 9413–A Hollywood Extra, A Bronx Morning, and Skyscraper Symphony. Writing and performing music for visual media has been a part of my life since early childhood. I loved playing the themes from movies and TV shows at parties as a pre-teen and into my years as a Broadway pianist, and wrote my own music for puppet shows and theater productions. I began playing for dance classes in 1969 at the University of Michigan, and in 1971 did my first silent film performances, beginning with The Phantom of the Opera and then on to many classics from Intolerance and Foolish Wives to The Big Parade and The Cabinet of Dr. Caligari. to name a few. In 1973 I began playing in New York at MoMA, thanks to my mentor and friend William Perry, and have continued there ever since, as well as at other New York venues–Lincoln Center, MOMI, BAM, and a number of museums. By the 90’s I was appearing at major film festivals and venues around the country and in Europe, and started recording my scores for silent films in 1997. To date there are over 50 DVDs for which I have contributed some or all of the music, sometimes piano improvisations, sometimes fully scored for instruments and occasionally voices, including that of my wife, Joanna Seaton, who frequently performs at live screenings with me. We have scored everything from Lloyd and Keaton comedies to dramas such as Way Down East, The Docks of New York, and Lady of the Pavements, sometimes incorporating period songs, sometimes writing our own material in the style of the film. 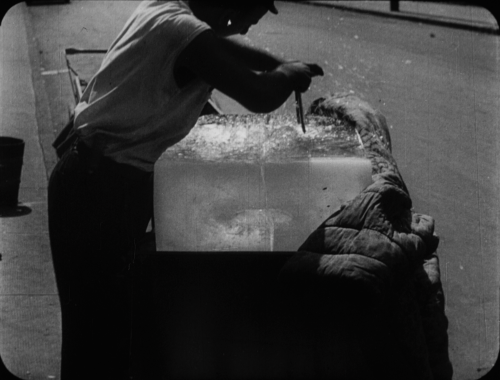 Avant-garde films provide an interesting opportunity for composition, as there are often no specific characters, no conventional storyline nor the emotional content of a narrative film. So the composer has to make choices that are based on other elements in the film: contrast, motion, lighting, or other technical considerations that may spark the creative impulse. In 2005 I was asked to contribute ten scores to the Unseen Cinema project, a huge collection of avant-garde cinema on seven DVDs. I am delighted that four of the films I scored are being reissued now by Flicker Alley. Among the work I have done before and since, those films stand out in my memory for their visual beauty and the artistry of their conception and execution. As with many film scores, though, they were created under substantial time pressure, and I remember one very long day and evening when several of them had to get done, including Manhatta. The film is twelve minutes long, and I spent about half an hour or so improvising on my keyboard and recording into the computer in the late afternoon, and then again for about the same time later that evening, made some edits in the digital file, and went on to the next film. 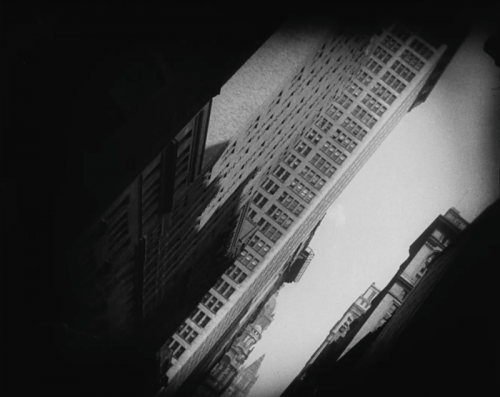 A few days later I returned to the film and expanded the original solo piano track to a synthesized orchestra, motivated by the extraordinary beauty of Charles Sheeler’s and Paul Strand’s photography. What I saw in the film was that underlying all the momentum and energy of the city–which I knew firsthand–there was a profound stillness, embodied for me in the exquisite shot of the Brooklyn Bridge, and at this point in my score all motion ceases as the violin sustains a long note, which I hope allows the viewer to focus his or her attention on that moment. 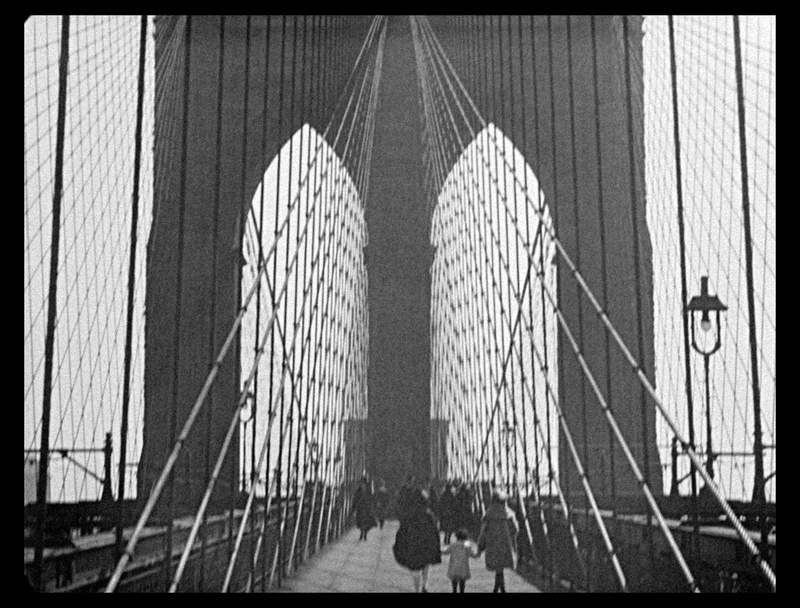 Film music serves many purposes; chief among them is to convey a mood to the viewer, and I chose to emphasize the grace and stillness of the city rather than evoke machines and drills. I write in many styles–each of the four films represents a different musical viewpoint. I often try to imagine how different composers writing in the early twentieth century might have scored a particular film. In this case, the harmonies and rhythms have a rather Aaron Copland-y feel, and maybe some Samuel Barber, too. Three years later I was given the unique opportunity of turning my synthesized score into the real orchestral score that is being heard on the Flicker Alley set Masterworks of American Avant-garde Experimental Film 1920-1970. Thanks to funding from MoMA and Anthology Film Archives, the film was lovingly restored by Bruce Posner, and I spent two weeks revising and orchestrating the music for a 39-piece ensemble in Slovakia, conducted by my dear friend Peter Breiner. The piece has been performed live several times, and will receive its Manhattan premiere in October 2015 by the Empire Chamber Orchestra under David Bousso. For The Life and Death of 9413–A Hollywood Extra, I turned to the sound world of Gershwin, even beginning the music with a Rhapsody in Blue-like trill. The fast cutting of much of this film and the mood got my feet tapping and I responded accordingly with jazzy riffs. I also took the number “9413” inscribed on the head of the protagonist and turned it into a musical motif by assigning each number to a note. Jay Leyda’s A Bronx Morning is a lovely tour around different neighborhoods of the borough, and I varied the sounds from the clattering subway with synthesized clarinet, bass, trumpet and drums, to little splashes of Yiddish and Italian melodies with clarinet and accordion. A blues tune permeates much of the score, sometimes laid back and sometimes more lively. The music for Skyscraper Symphony, unlike Manhatta, is very motoric and much more contemporary (i.e. late twentieth century) in sound and feel. It’s hard to pinpoint why this film sent me in that direction. I work very intuitively and often trust the first idea that pops into my mind. I’ll watch the film first in silence and if some music starts bubbling up from the depths of my consciousness, I’ll begin recording and listen back later to see if my first instinct still holds up. If not, then I’ll do a few more takes until I’m satisfied, sometimes choosing from among the different takes for the final version. Other “city symphonies” I have scored have entirely different sounds. $24 Island takes its cue from the alternation between the Indians and the eventual industrialization of their habitat. Berlin, Symphony of a Great City, of course demands another approach, and in a recent workshop with university music students we incorporated some of the flavor of popular German songs of the 20’s into our collaborative score. With more than one thousand film scores written and recorded to date, Donald Sosin is one of today’s leading silent film composers. Mr. Sosin lives in Lakeville, Connecticut. His website is newmoviemusic.com. You can hear Donald Sosin’s soundtracks accompany four of the films in Masterworks of American Avant-garde Experimental Film, now available for pre-order.